Posted September 6, 2013 by Chelsea Deeley & filed under Arts & Entertainment, Live Wire, Music. 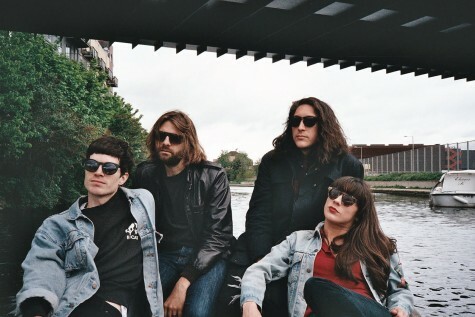 Cloud Control: From an extensive period in the United Kingdom, Blue Mountains natives Cloud Control are back and raring to go when they hit The Metro. Fresh off the release of their album Dream Cave, these four are making serious waves all over the world with their first official single – Dojo Rising. With support from Palms and Gang of Youths, this night is sure to be a rocking ordeal. Ghostpoet: In a similar vein to Mike Skinner and Roots Manuva, UK wordsmith Ghostpoet is on a serious rhetoric role. His latest album Some Say I So I Say Light has been snapped up by Aussie radio stations Triple J and 2SER and garnered some serious airplay even earning a feature of the week. The Oxford Art Factory won’t know what hit it with the poet and his band haunting the soundwaves. R.A. The Rugged Man: He’s got connections to rap legends Talib Kweli and Tech N9ne, yet New York MC R.A. the Rugged Man has made waves on his own. Delving into screen writing and film production over the extent of his career, hip-hop will be the only thing on The Rugged Man’s mind as he hits The Standard on Saturday night. Expect to hear classic gems from 2004’s Die, Rugged Man, Die and this years latest venture Legends Never Die. Sirens Big Band: Inject some jazz into the night with a trip to The Basement for a wondrous display by Sirens Big Band. The 17 women that comprise this band are at the forefront of the female jazz movement in Sydney and the two founding members earned the Jann Rutherford Memorial Award in 2009. With a repertoire consisting of classic jazz tunes as well as numbers that make audiences dance, there will be nothing but non-stop movement from these ladies.